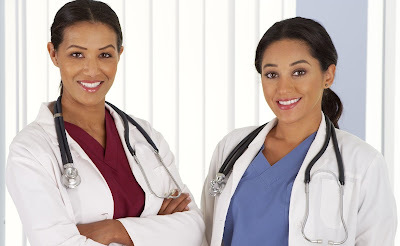 It has become well known in the medical community that the most popular over-the-counter (OTC) head-lice treatment products are mostly ineffective. This is due to the fact that head lice in the United States and other countries have developed genetic resistance to the chemicals—pesticides—the products use. In the latest published research, released in the Journal of Medical Entomology in 2016, 98 percent of head lice in at least 42 states were found to have gene mutations that enable them to resist pyrethroids, the class of pesticides used by OTC lice products. Clark and team studied samples of head lice from around the country after hearing reports that people were having trouble ridding children of lice using OTC products that had previously been effective. While Clark and other researchers are studying pyrethroid-resistant head lice; others are looking for new ways to fight the pests. A team of biologists at the University of Utah studying bird lice found it difficult to keep the insects alive in the arid desert climate. When one of the researchers’ children came home with head lice, the professor found that the OTC lice treatments didn’t work. The team believed that if they could recreate the arid conditions that killed lice in the lab, they could create a new kind of lice treatment product. After a decade of research, the AirAllé medical device was born. The AirAllé device works by applying carefully controlled warm air using a specially designed applicator to dehydrate lice and eggs. It has been clinically proven to kill live lice and 99.2 percent of eggs in a single treatment of about 90 minutes. There are no chemicals used, so it is equally effective against pyrethroid-resistant lice as it is against non-resistant lice. Clinical trial results were published in the medical journal Pediatrics in 2006, and updated and confirmed in the Journal of Medical Entomology in 2011, and the device was cleared by the FDA as a safe and effective treatment for head-lice. The AirAllé device delivers warm air at just the right temperature to just the right location for just the right amount of time to kill lice and eggs. A microprocessor controls the air temperature and flow, and a certified technician moves the applicator to deliver the air to the hair and scalp. 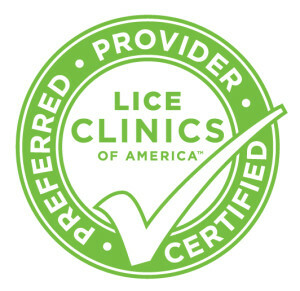 AirAllé treatment is now available through Lice Clinics of America professional treatment centers where treatments are guaranteed to be effective. The response to the availability of safe, fast, chemical-free, and guaranteed lice removal has been swift and dramatic. Book your appointment now.